(Lot of 5) Asco/Joucomatic Solenoid Valves w/ Grifols PCB for Ortho Provue . New Life Scientific, Inc. 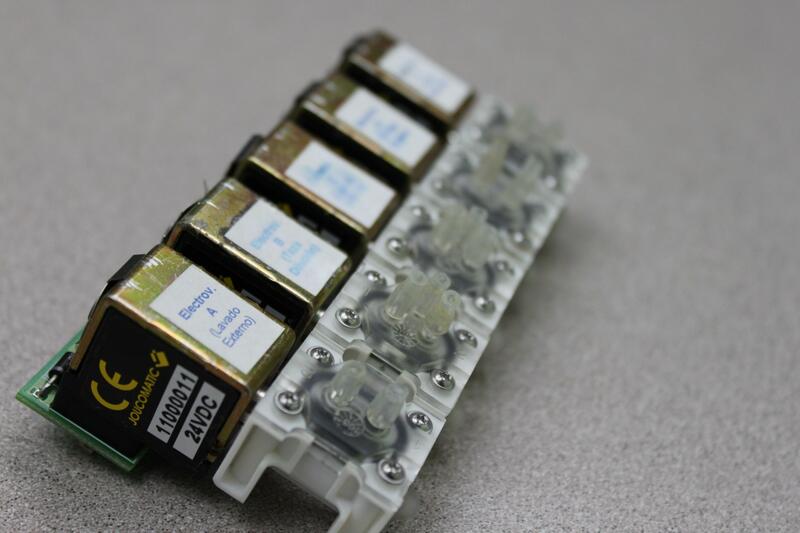 These five Asco/Joucomatic 2- and 3-way solenoid valves were removed from a non-functioning Ortho Provue. There is a Grifols electrovalves PCB with sockets for the valves on it included. This product is warranted to be functional and is protected by our 90-day warranty.